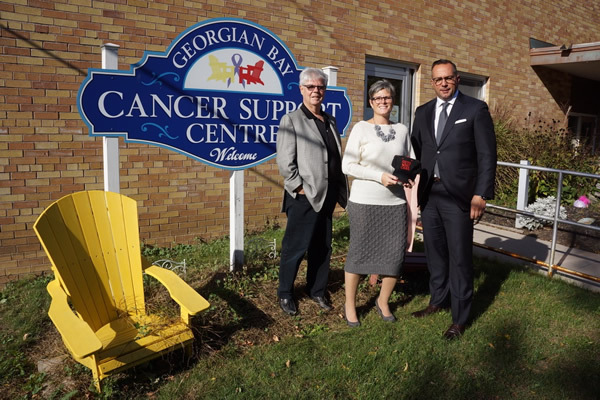 The Georgian Bay Cancer Support Centre is home to over 185 members from our community living with cancer, their families and caregivers. Since opening its doors in 2011, the centre has strived to provide meaningful psychosocial programs and services at no costs to all its members. They are a registered charity and are solely funded by the generosity of the communities it serves. Their vision is to be recognized as a source of support, education and motivation for people living with cancer, their families and caregivers. Their vision is to be recognized throughout North Simcoe and the surrounding communities as a place of hope, comfort, strength and courage. Share hope, Build Strength, Find Courage.